Don’t put up replacing those boots you’ve gotten resoled one too many times any longer. 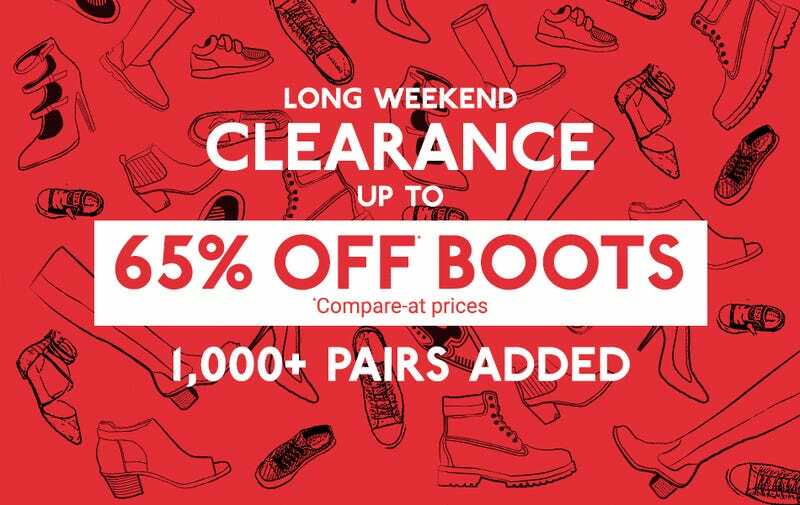 DSW is giving you up to 65% off literally thousands of boots in basically any style you could think of. Even if you don’t need boots, it’s worth look. You never know what you’ll find (and navigating the store IRL is just a huge pain).